Family Foodies round-up: chill out, baby! Here in Somerset, we’ve been enjoying some real scorchers in recent weeks, which has been perfect for the start of the school holidays. 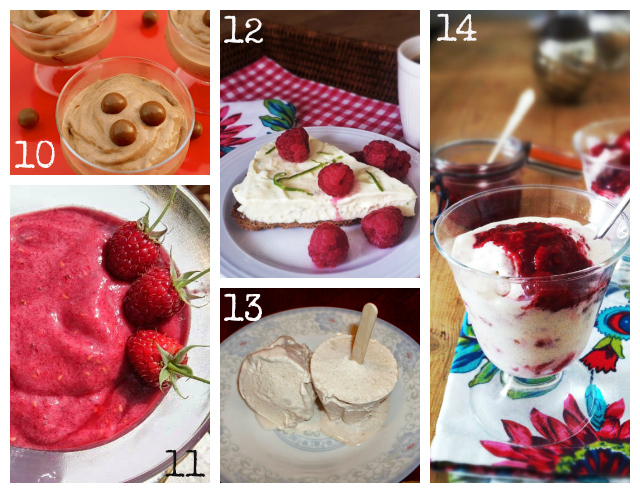 Your entries for July’s Family Foodies challenge have proven simply perfect inspiration for deliciously refreshing ways to chill out in this sticky heat. We only had a couple of savoury entries this month, so let’s kick off the proceedings with those. There was my Quick and Easy Gazpacho (1) – an ideal dish for making the most of a glut of tomatoes and cucumbers, and so simple to make too. Everything just gets thrown into the food processor and Bob’s your uncle. Mad Avocado’s Chicken, Goat’s Cheese & Avocado Salad (3) is another quick dish, plus it’s healthy and hearty too, perfect when you want to eat something satisfying but you can’t face anything hot. And so onto dessert. Kate at The Gluten Free Alchemist serves up these wonderfully tempting Raspberry Ripple-White Chocolate Coconut Milk Ice Cream Bars & Bites (2), inspired by her childhood memories of summer ice cream treats. These beauties look far better than anything I ever ate as a kid! 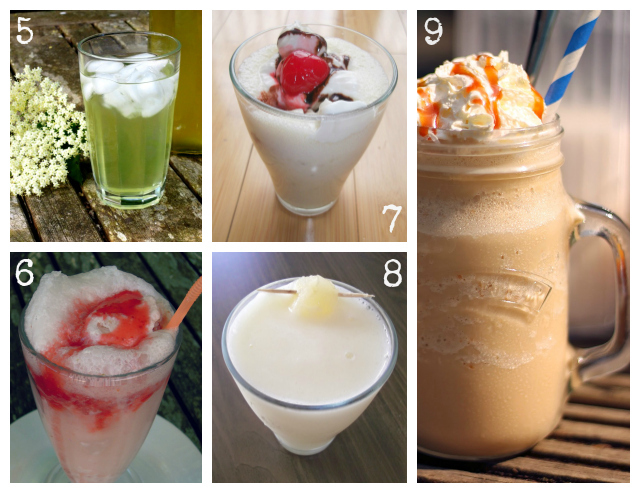 When it’s hot and sticky, chances are you’re pining for a long, ice cold drink. So how about one of these for some chilled-out liquid refreshment? I brought a couple of drinks to our summertime party: a fragrant Elderflower Cordial (5), followed by a nostalgic Strawberry & Rose Ice Cream Soda (6). Who doesn’t love a milkshake? Especially when it’s a Banana Split Milkshake (7) like this one from Linsy at Home Cook Food. You could really push the boat out and add a shot of rum too. Linsy’s also brought us this lovely Pineapple Coolatta (8) too, which sounds absolutely delicious. Iced coffee is a particular favourite of mine in the summer and I can’t think of anything more irresistible than this Salted Caramel Coffee Cooler (9) from Kevin at The Crafty Larder. I really must make up a batch of that salted caramel sauce to have on stand-by for emergencies. Ice cream is always a winner with little and big kids alike, and this superb selection of fruity frozen delights is certain to tempt your fancy. Louisa at Eat Your Veg offers a practically guilt-free Instant Choc-Ana Ice Cream (10) which takes only a few minutes to create yet takes amazing. I can’t wait to see the look on my girls’ faces when I serve them up a bowlful of this! Another instant ice cream made with frozen banana is this Vegan and Raw Raspberry Ice-cream (11) from Shaheen at Allotment 2 Kitchen. It also features homegrown raspberries, giving it his incredibly vibrant colour. Don’t you just want to dive in? Selma from Selma’s Table serves her Lime Ice Cream in a Ginger Snap Crust (12). Another easy-to-make ice cream, Selma’s is made with condensed milk and I love the idea of a ginger biscuit base flavoured with zingy lime zest. Just stunning. To be honest when this Chickoo Kulfi (13) arrived in my inbox from Linsy at Home Cook Food, I had to Google chickoo as it’s an ingredient I haven’t come across before. It turns out it’s a fruit known by many different names around the world, and is the fruit of the evergreen tree sapodilla, native to southern Mexico, Central America and the Caribbean, and later introduced to Asia. I love kulfi and hope one day to try a chickoo kulfi! Selma is back with a second delicious ice cream creation; this time a No-churn Raspberry Swirl Vanilla Bean Ice Cream with Fino Sherry. Tempted? I know I am. 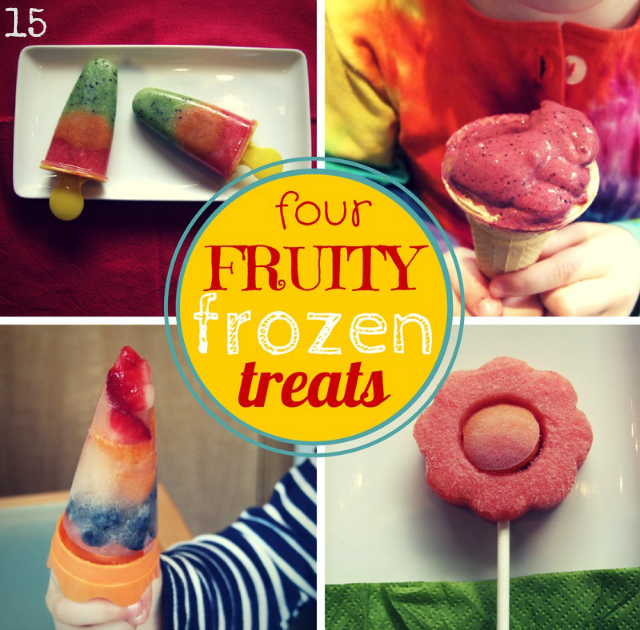 Helen from Family-Friends-Food offers not one, not two, but Four Fruity Frozen Treats (15) and, what’s more, all of them are completely sugar-free too. There’s a fruity umbrella ice lolly, an almost-instant fruit frozen yoghurt, a traffic light ice lolly, and finally, and possibly my favourite, a flower lolly which is quite simply fruit cut with cookie cutters and frozen. Genius, eh? Some more lovely lollies up next in the form of these pretty Raspberry, Banana and Coconut Ice Lollies (16) from Mandy at Sneaky Veg. They’re super easy to make and feature simply raspberries, banana and coconut milk, which is a flavour combination I love the sound of. Nothing says summer to me more than a tray of ripe peaches, and what better way to put them to good use than in this light and refreshing Frozen Peach Yoghurt & Oaty Crumb Topping (18) from Sarah at Tales From the Kitchen Shed. It’s made with her Homemade Yoghurt (17), which I really must have a go at making myself. 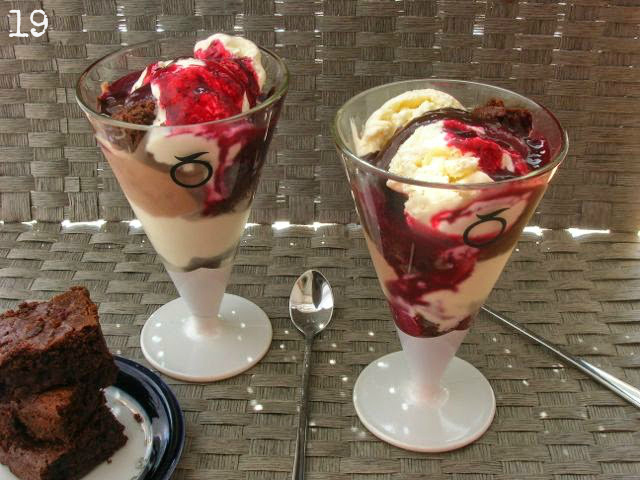 A perfect summertime pud in my eyes. Our final dish comes from Choclette at Chocolate Log Blog who serves us this incredible Chocolate Blackcurrant Sundae (19), which brings together dark and white chocolate ice cream, chocolate brownies, chocolate sauce and blackcurrant sauce into one of the most decadently indulgent desserts I’ve seen for some time. But the important question of course is who will take home the Family Foodies trophy this month. 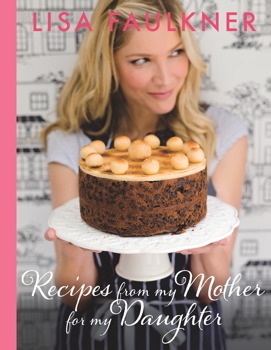 By trophy, I mean of course the rather brilliant cookbook Recipes from my Mother for my Daughter from Celebrity Masterchef winner, Lisa Faulkner. It was such a difficult decision this month but the prize had to go to Kate at The Gluten Free Alchemist for her simply stunning Raspberry Ripple-White Chocolate Coconut Milk Ice Cream Bars & Bites. I need to wipe away the drool every time I look at these beauties on the screen! Congratulations Kate on being our latest Family Foodies winner, and a copy of Lisa’s cookbook will be on its way to you very soon. Thanks to everyone that took part this month. 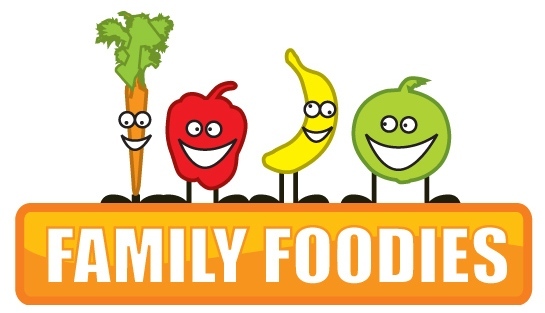 August’s Family Foodies challenge is now open over at Eat Your Veg and the theme is The Under Twos, with a fab prize on offer from the kind people at Marks and Spencer. 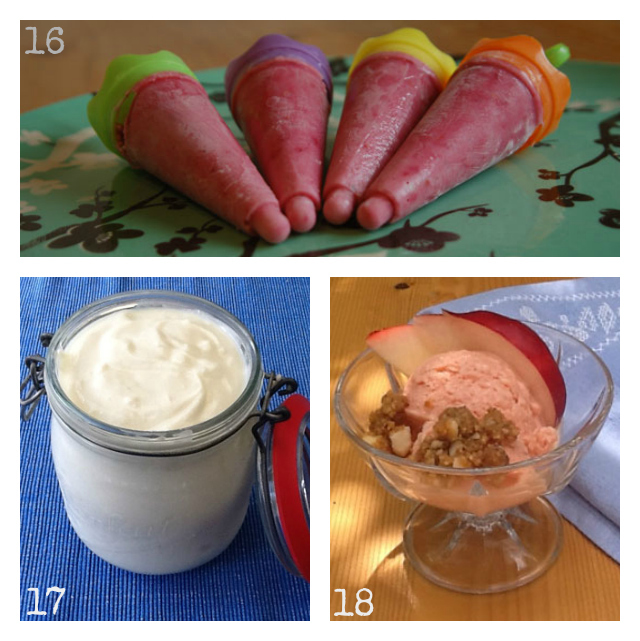 We’re after your ideas for first foods for babies and toddlers, from purees to finger foods. We can’t wait to see what you come up with! What a lot of lovely summer goodies – I really enjoyed reading this round up, and thanks for including my lollies! 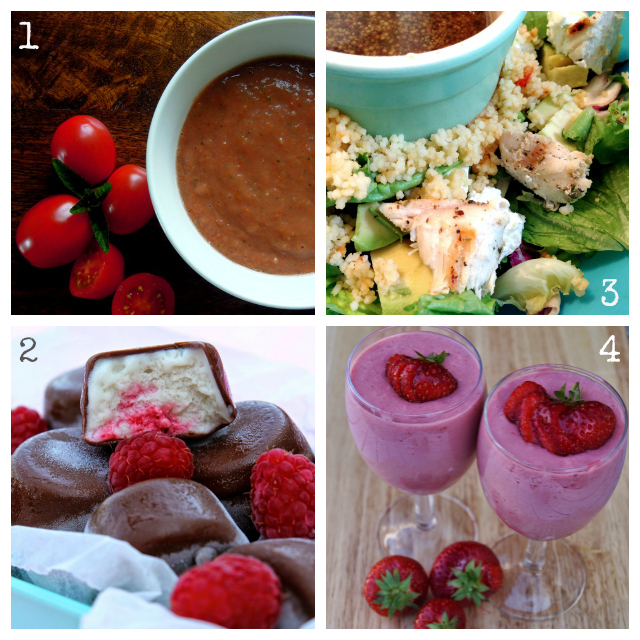 Fab round up Vanesther! I am thrilled to have won amongst such a tempting array of chilled delights….. Thank you! A very deserved win Kate – although it was a very tough decision. Your prize should be with you in the next couple of days. Happy cooking!